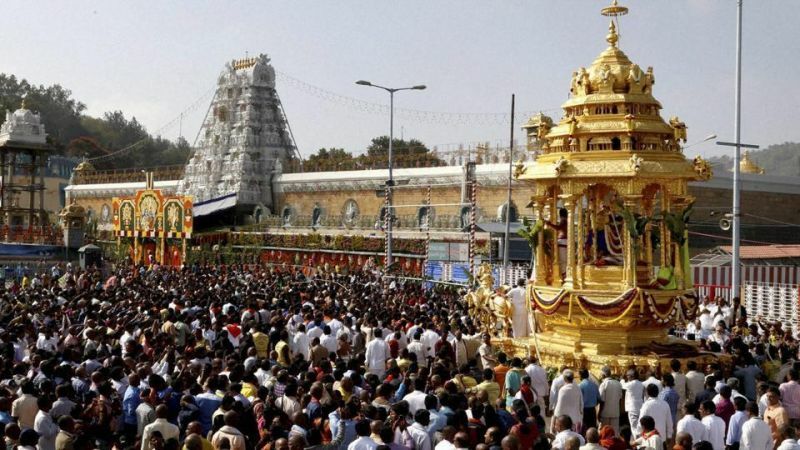 Devotees from across the globe will be able to take a tour of the iconic Tirumala Tirupati temple without standing in long queues, as the shrine opens its doors to cameras for the first time. National Geographic's new documentary 'Inside Tirumala Tirupati', set to be aired on the channel today at 9 pm, will offer viewers an in-depth tour of the temple through time-lapse and hyper-lapse photography. Srivathsa Kondapalli, director of the documentary. 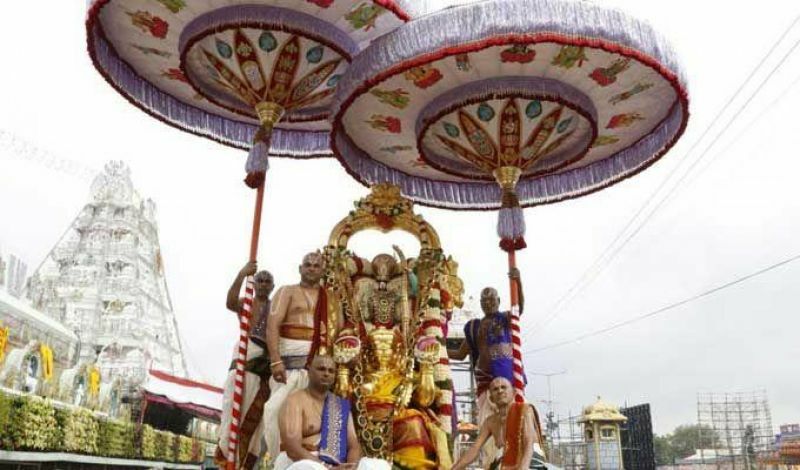 While the award-winning documentary-maker has captured the regular hustle-bustle of the pilgrimage place, he has also recorded the annual festival of 'Brahmotsavam', a nine-day event that witnesses around five lakh devotees every year. Albeit through a "made-for-television" replica of the innermost sanctum of the temple, the film also captures the deity's special chamber without breaking any religious protocols. Originally planning to feature only the temple's kitchens in 'India's Mega Kitchens', Kondapalli says, he realized there was so much more to Tirupati Tirumala than just its kitchens, and hence he decided to create a broader project through this film. "I approached Tirumala Tirupati Devasthanam to feature their Annaprasadam kitchens in one of the episodes. After extensive recce and research, I felt there was a much bigger story to the Tirumala Temple beyond just its kitchen. That's how the idea germinated, to tell a larger story," says Kondapalli. 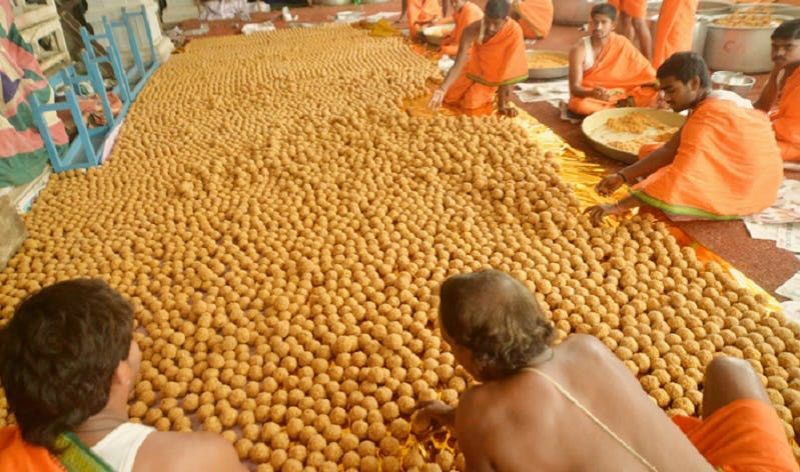 Apart from the kitchens where the famous 'Tirupati Laddoo' is prepared, the director has also shot the crowd management system of the temple. as 'prasadam' or sacred offering. The film also takes viewers to the frontlines of crowd management systems that allow over 60,000 people to visit the temple every day," he says. The production also offers a peek into the lives of "the spiritual caretakers" of the temple through a trip to a special school 'Veda Paathshala' for priests.